An Israelite owned restaurant bombed in Nairobi by a suspected terror gang - Bana Kenya News, Real African Network Tubanane. According to the Inspector General Joseph Boinnet, a Terror unit has been sent to the Restaurant to ascertain the condition of the affected people. Kenyans have been told to keep calm and avoid the affected area. "It is in the same compound with Dusit D2 and commission for revenue allocation. For the past 15 minutes. Started with an explosion. We are lying on the floor in our offices can't look out," one of the workers said. There is an on-going police operation along that road and motorists are encouraged to avoid the area. One of the people in the area only named Ronald said they were under attack from unknown people. "Kumekuwa na bomb blast.. we are not safe..if I die please tell my children that I love them.. call the Israel Embassy and recce squad," he told the Star amid whisper. "We were informed of the shooting incident around Dusit Hotel. We have dispatched officers from the Terror Unit and the DCI to the scene. 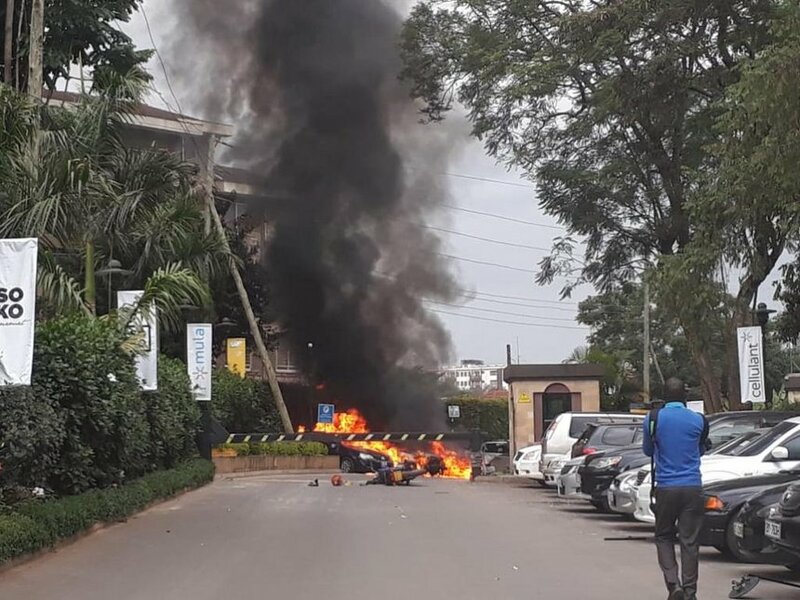 We should be able to know what is happening there in the next few minutes"
A Suspected terror group has bombed an Israel Restaurant in Nairobi along Chiromo lane.